Ninja Nyan!. 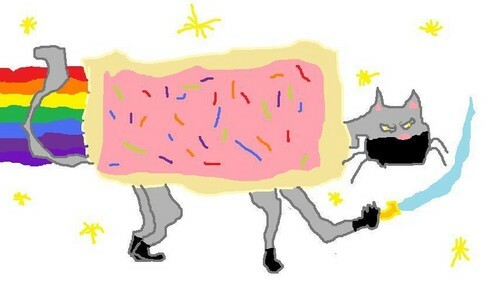 This is what Nyan Cat would look like as a ninja :). HD Wallpaper and background images in the Nyan Cat club tagged: nyan rainbow ninja cat katana. This Nyan Cat fan art might contain segno, manifesto, testo, lavagna, and poster.